At about 2:45 PM on February 12, 2016, history was made here in Los Angeles as the Wizarding World of Harry Potter soft-opened for the first time to park guests at Universal Studios Hollywood. 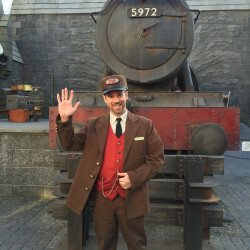 The moment marked the end of a long journey that began on December 6, 2011, when Universal made the official announcement that Harry and the gang from Hogwarts would indeed, be coming to Southern California. Since then, Universal Studios Hollywood has embarked on an unprecedented growth spurt – a transformation unlike the property has ever seen. You may find yourself asking what a “soft open” actually is, and that’s a valid question. The term “soft open” is often used in themed entertainment (and other industries) when it comes to new rides and attractions that are in their preview stage. Once a new attraction is ready for its first guests and a series of technical/dress rehearsals, it will often be put into operation during park operating hours, allowing guests the opportunity to experience it unannounced. Not only is this a thrilling revelation for guests – it’s an important period for the park in question to start understanding guest flow patterns, focus on tweaks and adjustments, and to really polish the show before the grand opening date arrives. 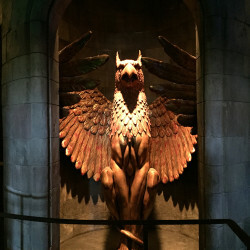 Wizarding World of Harry Potter at Universal Studios Hollywood is now in its soft open stage. It’s very important to point out however, that a soft open period also comes with risk and uncertainty to guests arriving with the expectation that the attraction in question will actually be operational. In the weeks to come, Universal will be adjusting various aspects of the new land and its attractions. 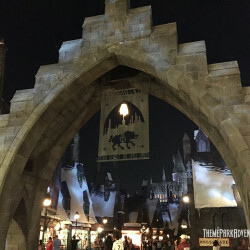 Guests may or may not be allowed into the area, and should understand that if you go to Universal Studios Hollywood prior to April 7, there absolutely is a chance that Potter may not be available, or that one of the land’s two attractions may not be operational. If you happen to own an annual pass, a soft open period can be a “safe bet” because you really have nothing to lose – except a few hours if you choose to wait around for the area to open. 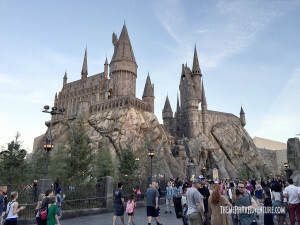 However, if you are planning on visiting and buying a ticket to get in to Universal and are expecting to experience the Wizarding World in all of its glory, you really should wait until after April 7, to ensure the land is opening and everything is ready to roll. Within the last couple of weeks, the park’s massive new E.T. 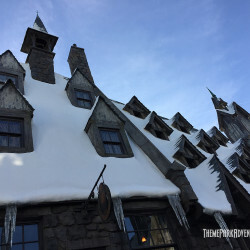 Parking structure has been put into operation, offering some 5,000 additional parking spaces for the influx of guests Universal is expecting as fans from all over come to experience the magical world of Hogsmeade for themselves. If the amount of guests that flooded through the entryway to Hogsmeade yesterday afternoon is any indication of how big this is going to be for Universal, it’s a good thing the new parking structure is ready – because they’re going to need every single space they have. Another question you may find yourself asking, is what exactly is the Wizarding World of Harry Potter? Since Potter exists (until now) only in Florida and Japan, there are going to be a lot of folks who have no clue as to what it is as they enter – and that’s totally understandable. The Wizarding World of Harry Potter is a highly-detailed recreation of the village of Hogsmeade, as seen in the Harry Potter film franchise. 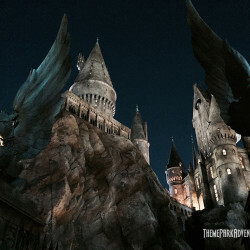 Those visiting Hogsmeade in the stories are likely students attending Hogwarts School of Witchcraft and Wizardry, which looms over the town from a rocky cliff. The quaint little town is lined with cobblestone streets and whimsical shops featuring the very latest in wizarding apparel, toys, and candy. 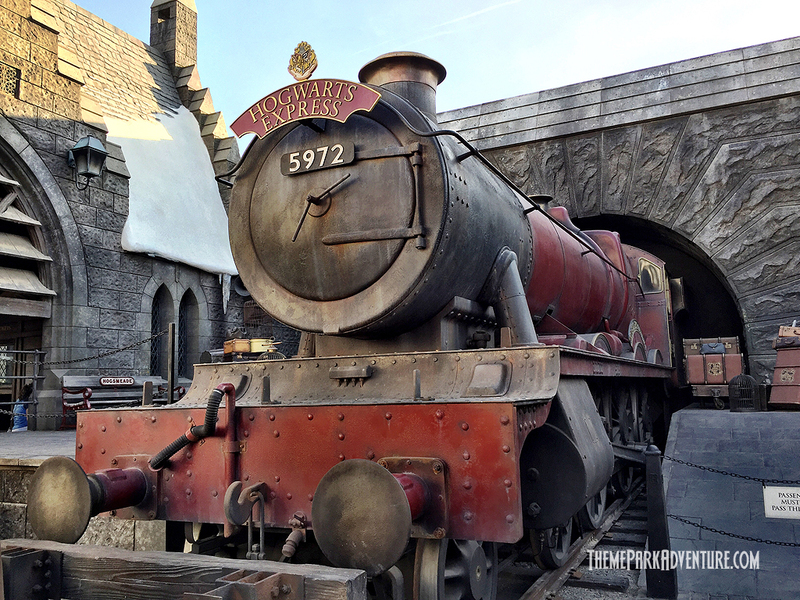 To get to Hogsmeade, guests generally arrive via the large steam train known as the Hogwarts Express; as you enter the Wizarding World, you can see the locomotive, steam billowing, as it has just arrived. Within the land are small experiences, as well as a family roller coaster and major “E” Ticket attraction. Fans and industry professionals alike consider the Wizarding World to be one of the greatest areas/lands ever designed, with good reason. If you’ve never been, you’re going to be blown away. 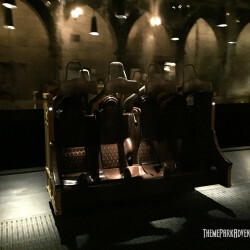 I should make it clear that this is not our full review of Wizarding World of Harry Potter in the least – in fact, I’m going to leave you with a few impressions that I formed in the very short three hours we were allowed to experience Hogwarts, share some photos we took with you, and then continue to tweet and Periscope from time to time from Hogwarts until the official grand opening occurs on April 7th. 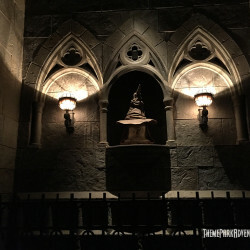 Once the Wizarding World is officially open, we will have a complete run-down here on TPA for you, discussing in great detail every shop and attraction to be found in this magical new land! 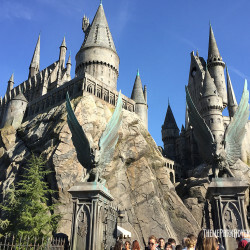 There are two rides in Hogsmeade – a family-friendly roller coaster named Flight of the Hippogriff, and the signature “E” Ticket attraction, Harry Potter and the Forbidden Journey. 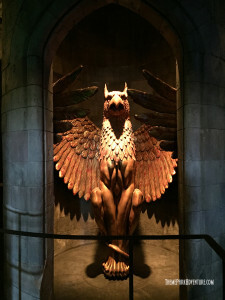 The latter is the signature piece of the new area, and it is different than the original in Orlando, in that the media throughout ours has been rendered in 3-D. We opted not to wait in line for Hippogriff, as we wanted to take time exploring the fine details of the land during our first visit. Our group did ride Forbidden Journey twice, however. Since there are still adjustments being made to that attraction, I’m going to refrain from commentary. Yes, it’s the same (for the most part) as Florida’s, and yes, the 3-D element is interesting; it has its own set of pros and cons, which are better left until our full review in April. The queue is gorgeous for Journey, and is one of my favorite things about the Wizarding World, just as it has been for years in Orlando for me. Parks and Cons, Theme Park Adventure, and Behind the Thrills enjoy their first Butterbeer together! Butterbeer is a huge component to the Wizarding World, and fans have eagerly awaited its arrival here on the West Coast for years. 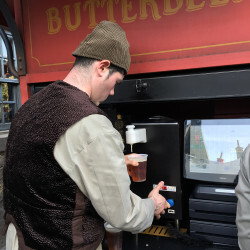 The land has several Butterbeer carts and locations, and as you might imagine, the incredibly sweet liquid was flowing non-stop from open to close as hundreds of people lined up for their first – or 100th cup full of golden goodness! 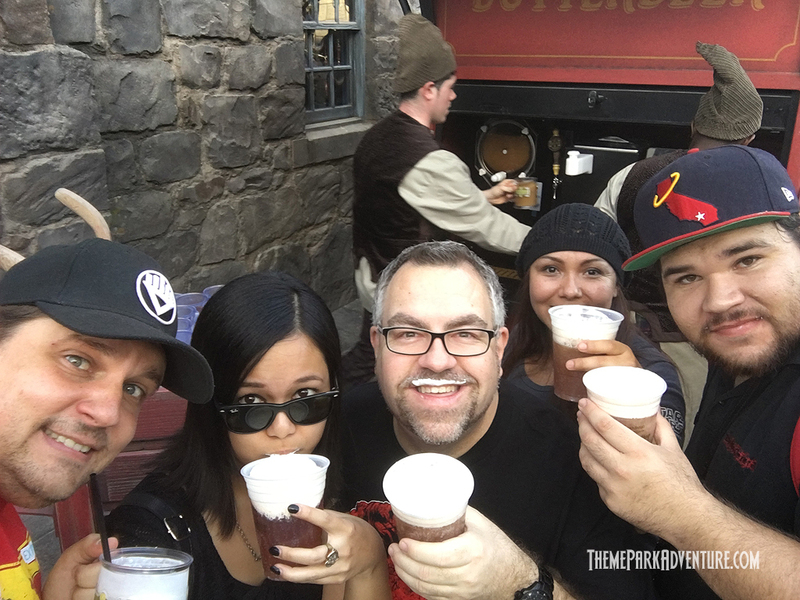 Team Members were getting the hang of creating the foamy heads for each Butterbeer cup, and some were more generous than others. This too, will be worked out and perfected by April 7, as everyone was certainly excited – and extremely focused – on the new job at hand. 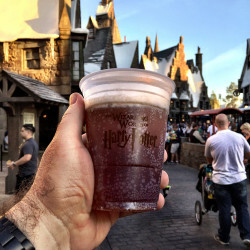 I will say that our Butterbeer here is the same as it is in Florida; no variation at all in taste – which for me, is a slight disappointment, as I noticed a definite difference in the level of sweetness being throttled back when we visited Universal Orlando in November last year. I’m the guy who wants Butterbeer to be outrageously rich and sweet – and that’s been altered a bit. Don’t get me wrong – it’s still sweet. But for those of us who’ve savored each cup with delight over the past few years in Orlando, it’s definitely a different taste, and falls short of being “OMG – RIDICULOUS” now. The good news for those of us with naughty sweet tastes to appease, is that there is now Butterbeer Fudge to be found inside Honeydukes, the area’s candy shop. Relatively new to the Potter universe, Butterbeer Fudge is absolutely epic in its sweetness, and should satisfy anyone looking for that over-the-top flavor blast. It’s like having Butterbeer wedding cake icing/filling in your mouth. 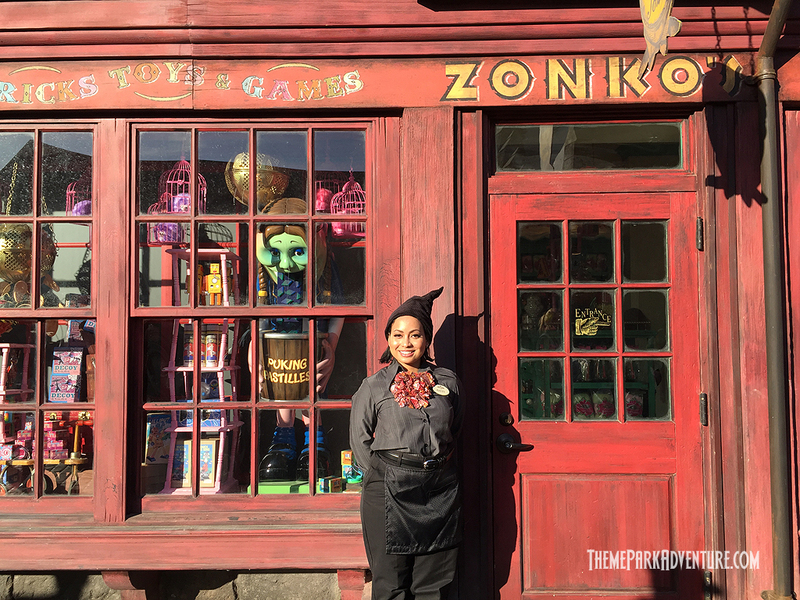 It’s the same consistency of fudge – but its sweetness is off the charts, and is now one of my favorite things Potter-related! As it is in Florida, our Wizarding World features interactive wand features throughout the land – spots where guests stand and use their wands to cast a spell, making musical instruments play, chocolate frogs to appear, or sound to cease from a bubbling cauldron. This is a fantastic element that allows guests to truly become wizards as they wave their wands and speak their incantations – a fun activity that fans of all ages get into. Here’s a tip: if you have purchased an interactive wand already in Orlando (or Japan), they will work here in Hollywood, too; it’s all the same “magic” technology, so you don’t need to shell out another $45 – unless of course, you’re fancying a new wand anyway! We didn’t eat at the area’s restaurant, which is the Three Broomsticks; we will do that soon enough. As it is in Orlando, this is a really great dining spot that is masterfully appointed with fine details and generous seating both indoors and out. 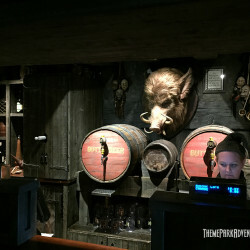 Attached to Three Broomsticks, is Hog’s Head – a dark little tavern that serves adult beverages. There is a small bar here, although it can become pretty crowded. For those looking for some beer, it may be best to grab and go, unless you can find a table tucked away from the constant flow of curious guests. There are numerous stores throughout the Wizarding World, including Ollivanders Wand Shop, where, you guessed it… you can buy any type of wand you fancy from the Harry Potter franchise. 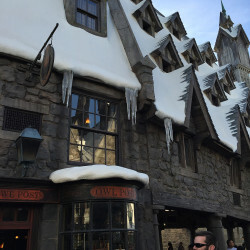 The shop is much, much more, however; this is one of the most amazing experiences to be found within Hogsmeade. You see, as guests are welcomed into the shop, a lucky person from the group is selected and in turn… a wand chooses them. 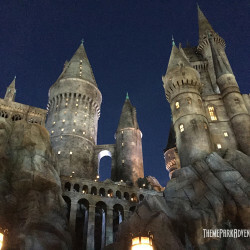 It’s a fantastic, intimate show moment that we will get into once we cover the Wizarding World in full; if you have seen this in Orlando or Japan, you know what happens during this experience. If not – this is something that must not be missed when you visit! Universal Studios Hollywood’s Ollivanders has a larger operating capacity, so wait times hopefully will be reduced decently. After spending just over three hours inside the Wizarding World of Harry Potter, we’d ridden Forbidden Journey twice, had multiple Butterbeers, snacks and went shopping. There is still plenty to do, so we’ll no doubt, be back for more very soon. It’s very surreal to have our own Potter area here in Southern California, let alone just about 10 minutes away from where we live. It’s not perfect – we’ll discuss some aspects of the land that are a challenge in the main review this April – however, it’s by far, the best thing that’s ever opened inside the Universal Studios Hollywood theme park, and fans should be absolutely giddy about it. Congratulations to Universal Creative and all of the men and women with boots on the ground here in Los Angeles to see this project through! What a tremendous job everyone has done! 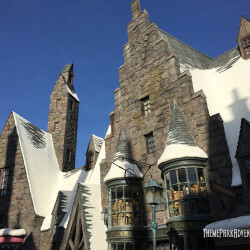 What’s transpired here in our backyards is no small feat – this is a win-win for everyone; fans are going to race to Hogsmeade, where they will wear their wizard robes and cast spells all day and night while sipping Butterbeer, and every other theme park in the region is going to raise their game as a result. Harry Potter has come to L.A., and it’s good business for everyone. Stay tuned in the weeks ahead for more exciting tweets, Periscope broadcasts and news from the Wizarding World of Harry Potter at Universal Studios Hollywood! The magic has just begun! 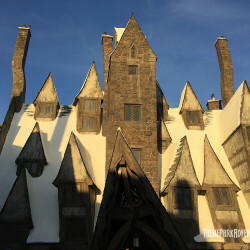 This entry was posted in Features, Home Page, Home Page Slider, News and tagged Rick West, The Wizarding World of Harry Potter, Universal Studios Hollywood. Bookmark the permalink.